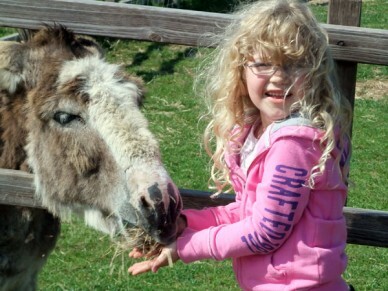 With half-term upon us again Pocket Farm offers up its own list of fun, farming related, activities to keep the kids amused for the week ahead. As it can be an expensive business entertaining seemingly indefatigable children, especially if you have a large brood, we have also included a great selection of free days out to interest, engage and exhaust them in equal measures. Most venues have good facilities for disable visitors but please check with individual sites for full accessibility information. We are spoilt for farmyard experience activities in Hertfordshire and many are offering special half-term activity programmes. 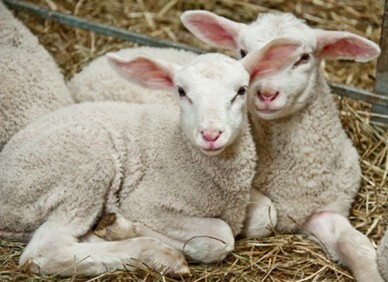 Willows Farm Village, St Albans offers one of the first chances to see lambing in action in its special Lambing Marquee. There is also a packed daily programme of fun, games and demonstrations including the chance to meet a shepherd and handle a selection of smaller animals plus an indoor soft play area. Entrance is £12.95 child, £11.95 adults, with under 2’s going free. Farmyard ‘n’ Funland in Bushey, Watford, offers the dual attraction of a full compliment of animal encounters coupled with an indoor play area so there is always something to do whatever the weather. Joint entry to Farmyard and Funland during half-term is £5 adults and £9 children over 18 months but you can choose to visit either one separately for a reduced charge. Similarly the weekend of the February 16/17 also sees Lee Valley Park Farms open after its winter break with indoor and outdoor play areas including a new toboggan run, a farm with all the expected and some unexpected animals such as reindeer, llamas and monkeys. There is also the chance to visit a real working farm meaning there is something for every budding farmer. Adult £8.50, child £7.00, under 2’s free. 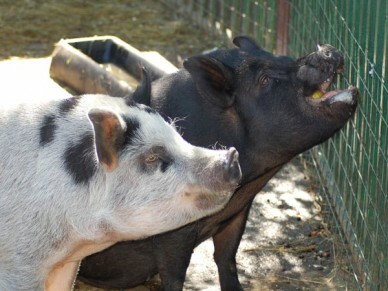 Church Farm Ardeley is a working farm that offers a free to visit farm experience with pigs, chickens, turkeys cows, sheep, ducks, geese and during half-term a free scavenger hunt trail. You can feed the chickens, pigs or cattle for £3. You can also feed the family at the on site cafe or The Jolly Waggoner pub just across the road. National Trust Wimpole Estate in Royston has a farm, hall and garden to explore. There are various entry options but the non-members farm and garden ticket is £7.90 adult, £5.20 child and £23.70 family. During half-term they will have several organised activities including den building (£2.50 additional charge) on the 17th, make a bird feeder (included in entry fee) on the 18th and woodland crafts (min £1 per item) on the 19th. If none of that takes your fancy you could take on one of the three geochaching routes – a contemporary style treasure hunt using GPS – in the hope of finding 5 hidden containers. Paradise Park in Broxbourne has a week of animal art antics on offer with painting, drawing and collage plus feature activities including bug box making and face painting. Spaces are limited for the art events so early arrival is recommended. You will need to pay entry to the park itself and some activities such as face painting do attract an additional cost. If art is not your thing there is still plenty to do at Paradise Park with over 400 animals, shows, playgrounds, slides, rides and experiences all on offer. Entrance is priced at £16 adults and £13 children with a £1 discount available if booked online. If you fancy something a bit different, Top Events GB at the Westmill Farm complex in Ware has an aerial adventure course featuring one of the longest zip lines in the region – are you brave enough to give it a go? 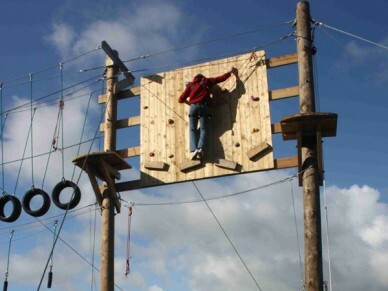 You can also try your hand at Segway riding, archery, knife and axe throwing, target paintball and climbing. As you can imagine with activities such as these age restrictions can apply. For more information or to check availability call 01462 490 269 or visit the website here. Continuing the muddy theme how about the Family Fun days at Hatfield Forest, near Bishop’s Stortford throughout half term week. These free events are based outside and you will need to wear suitable clothing as the focus is on mess, mud and more mess with mud pie making, welly wanging and other adventure activities between 11am and 3pm. Fairlands Valley Park, Stevenage and Stanborough Park, Welwyn Garden City both offer a host of activities and are especially good if you like messing about on the water. Both have a children’s play area, lakes with water sports, sailing, dinghy hire and fishing. Fairlands Valley Park also has a state of the art climbing wall. Both venues have free entry, somewhere to eat and free children’s play areas. Other activities are charged and booking may be necessary. Although the main Celtic Harmony site doesn’t open until later in the year the Archery Barn just across the road in Brickendon, near Hertford, offers 2 hours archery tuition for £15. Minimum age is 7 years and additional children can be added for only £9 extra. 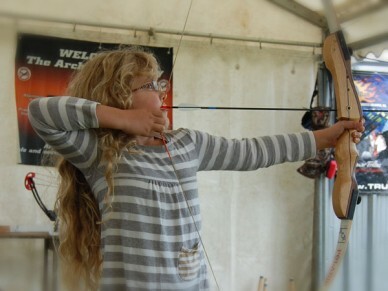 If you have a budding Robin Hood in your household then this is the perfect introduction to the sport. If we haven’t tempted you so far you may also want to try: Cassiobury Park, Watford; Aldenham Country Park, Elsetree; Hatfield House and Park (Farm not open until March 9), Hatfield and Rickmansworth Aquadrome, Rickmansworth.